Last year we featured a case for the iPhone 4 that lets you switch between two SIM cards. That case has now been upgraded – now you can use two SIMs at once, no need to switch, plus you get an 800 mAh extra battery. The case has one slot each for a Micro SIM and a Mini SIM. 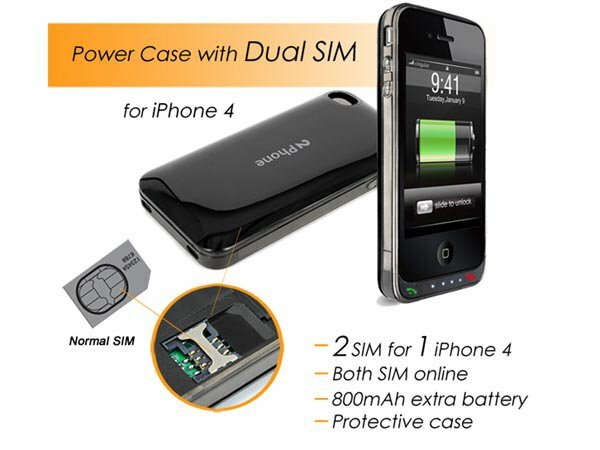 USB Fever sells the Dual Standby/Dual SIM with Power Pack case for the iPhone 4 for $250 (USD), although it’s out of stock as of this writing. Also for that price you might as well get a second phone if you don’t mind carrying an extra gadget.